Black Comedy is an Australian 30 minute scripted comedy television series, which kicked off on November 5, 2014, on ABC and is broadcast every Wednesday at 21:30. The show is currently in its 3th season. ABC has officially confirmed the renewal of Black Comedy for Season 4. The exact release date is yet to be announced so far. Sign up to track it down. The fourth series of Black Comedy will continue an acerbic, witty and altogether unapologetic comedic exploration of what it means to be black in contemporary Australia. 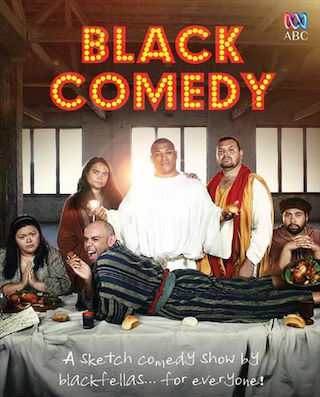 The sketch comedy show is written and performed by some of the sharpest and funniest blackfellas in the country who carve up sacred cows, dismantle stereotypes, and turn modern Australian culture inside out. Alongside the current team will be some exciting new (and not so new) talents for season four. A Scarlett Pictures production in association with ABC, Screen Australia.